The Zoey bracelet is all about layering and texture. 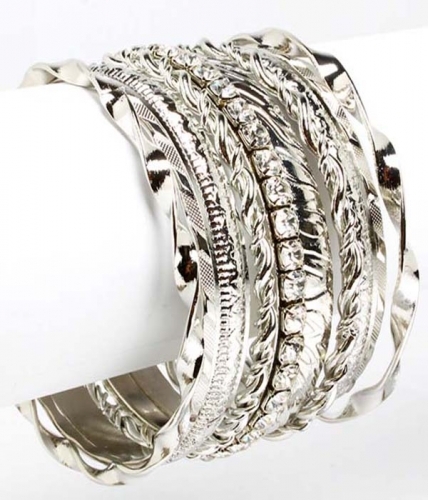 Showcasing a stackable set of high-lustre cast silver bangles in an array of styles, textures, and a little bit of sparkle. The easiest way to accessorise any day or night look. You won't find such a diverse and extensive range of cheap jewellery online anywhere else. We hope you enjoy your shopping with us.